From October 16 until May 16, Mount Shasta Ranch is offering a special of 3 nights for the price of 2! Holidays and Special Events excluded.. This includes a gourmet three-course breakfast to keep you charged for an extra day at the Mount Shasta Ski Park or for whatever adventure you are planning. There is so much to do during winter in Mt. Shasta. This is the perfect package for those wanting to get away for a long weekend, to get that extra day of skiing in, or to get one more nights rest before the journey home. The Mount Shasta Ranch is off the beaten path enough to enjoy the tranquility of winter, but close enough to I-5, I-89, and downtown Mount Shasta to make us a great choice and convenient place to stay while visiting the Mount Shasta Ski Park. Mt Shasta is going to have an almost 90% solar eclipse. 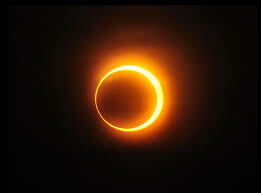 Although the Oregon coast will be 100% sun blockage the total eclipse lasts only 2 minutes and 40 seconds. Mt Shasta has 229 sunny days which means you may have a better chance of seeing the eclipse from Mt. Shasta than the coast which has only 156 sunny days. The partial phase before and after the total eclipse is 2 to 3 hours. The event is only happening in North America where about 12 million lucky folks will be able to see it. Do not look at it with sunglasses or unfiltered binoculars or telescopes. Direct viewing could cause permanent damage to your eyes. Solar eclipse glasses are available on line. Whether you chose to see it from our perfect view on the veranda of Shasta Starr Ranch B & B or the Oregon coast it should be quite a spectacle. Indian Cuisine, A Botanist and a Medical Practitioner specialize in Vegan, Gluten-Free, and Non-GMO foods, using 85+% Organic products. Our talented Shasta Starr Guests playing one of our pianos, thanks for the concert, everyone enjoyed the music! Join Andrew Oser for a spiritual retreat or sacred site journey on magical Mount Shasta. Guests of the B & B who have been staying for years often ask about Ahab the parrot, a long time resident at the B & B. Bill Larson the previous owner of the B & B wanted to move her to their new real estate office but Marsha, his secretary refused. Every time Marsh would take a phone call Ahab would start yelling just like a kid. Marsha was not one of Ahab’s favorite people and once chased her all over the B & B when she got out of her cage. with her bad habit of biting if guests got too close to her cage. 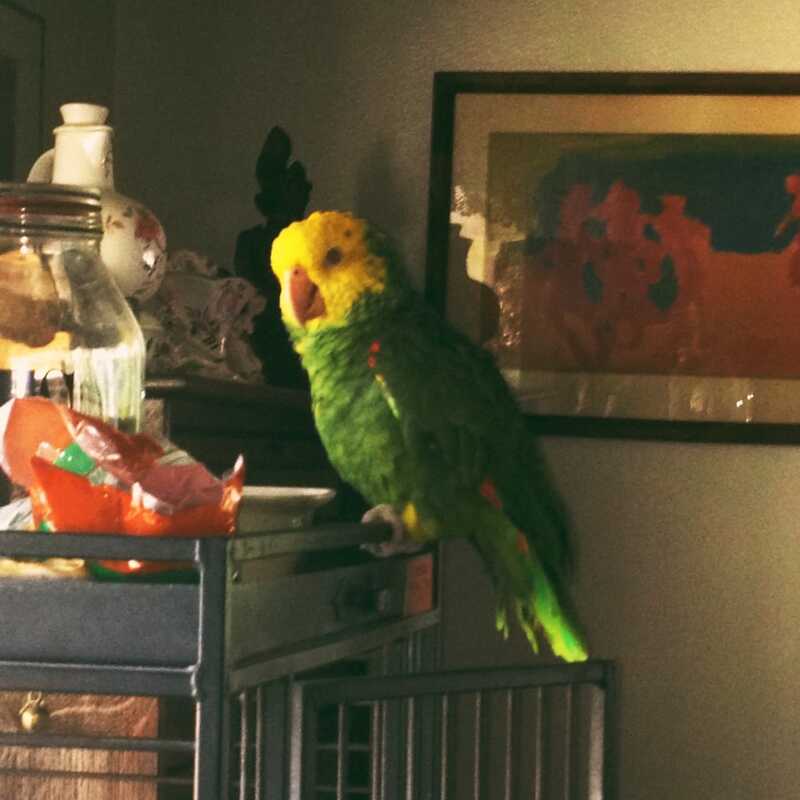 When a previous inn keeping couple offered to take her they were relieved as they know parrots like familiar people and often don’t survive changes. Ahab was doing just fine until the previous innkeepers separated. She stopped talking for weeks and finally started pitifully repeating Bill, Bill, Bill. The innkeepers called Bill, explained the situation and Bill picked her up. The new B & B owners happened to be outside when he drove by with Ahab in the back seat. She was happily talking away for the first time in weeks. She now lives with Bill and his wife Mary. Ahab doesn’t really like blond women which describes Mary but they are cohabiting and at least Ahab is very happy. Ahab is about 50 years old and a beautiful parrot. We miss her hellos but not her biting! We do have some of her pretty green feathers in a rather strange arrangement with a road runner that came with the B & B. It’s in our TV room. Take a look next time you stay with us. A hike just out the kitchen door.